To write Arabic on Android, when the keyboard is active or you can see the keyboard, slide the Space Bar to the left or right until the key letter turns into Arabic. If you can’t slide the Space Bar, try to press it for several seconds until the language selection menu appear. Not all Android phones or tablet have a keyboard with Arabic layout despite the fact that the system already support is. To overcome this problem, the users can install alternative keyboard from Market. Some of Android keyboard application that have Arabic layout are Smart Keyboard Pro, A.I. Type Keyboard, MultiLing keyboard and many more. 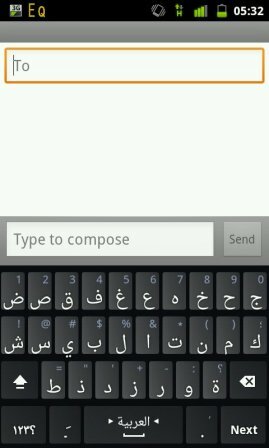 In this article, I will give you a tutorial to write Arabic on Android using MultiLing Keyboard. 1. 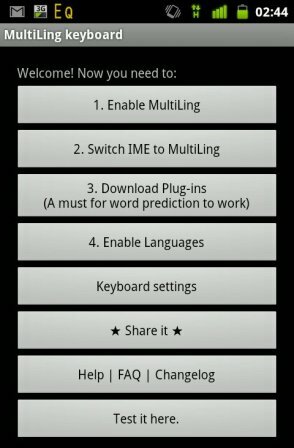 Click the option #1 (Enable MultiLing)> you’ll be taken to the “Language & Keyboard Settings” > give a check mark on the “MultiLing Keyboard”> Press the BACK button to return to the MultiLing Menu again. 4. Once the Arabic plug-in is downloaded, click again on the MultiLing application icon (Figure 1), then click the option #4 (Enable Languages)> Give a check mark on Arabic language. Try to scroll down the screen first if you can’t find it. To Change from Arabic to English or other language, press the space bar for a few seconds. If after you install MyScript, the keyboard key already shows appropriate Arabic letter (not boxes) but at the time you typing text, the letter on the screen is still display boxes, then there is a chance that your Android system does not support Arabic language. 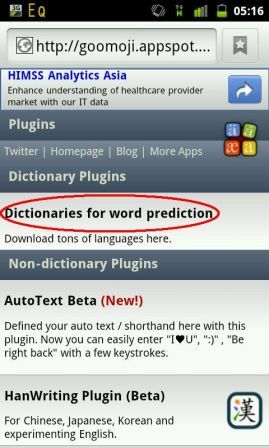 When finished, press the MENU button> click Send> select the desired method, whether via SMS, Email, Twitter, Facebook, etc. Don’t worry if the texts turn back into boxes at the Messaging (SMS) application. If the recipient device is supported Arabic language, the messages / the text will look normal.